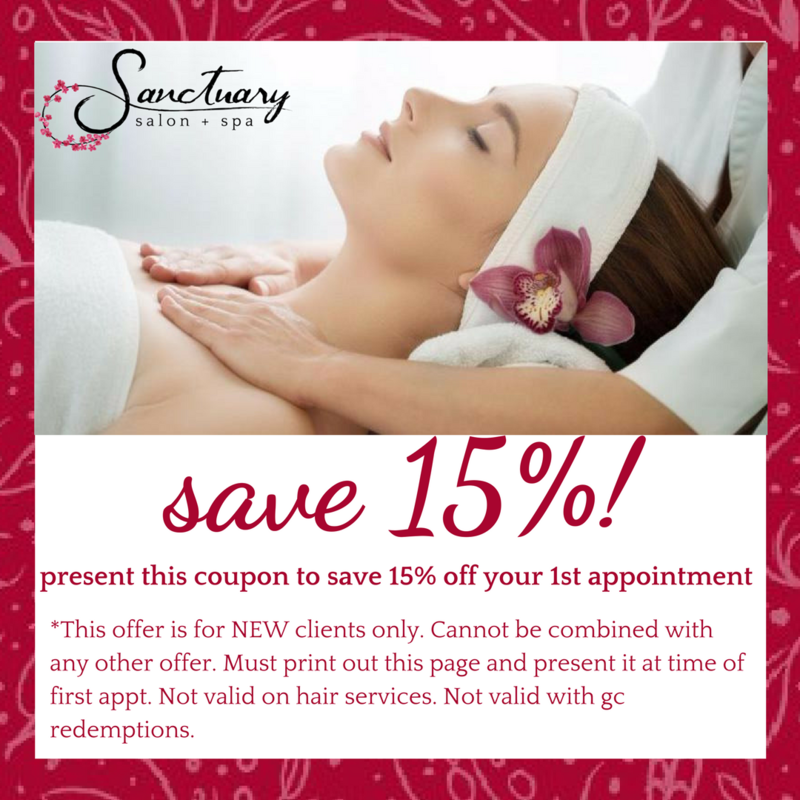 A CUSTOMIZED WELLNESS EXPERIENCE AT 15% OFF*! At theSANCTUARY, we are continuously striving to make our clients look and feel their absolute best with an innovative approach to skincare, waxing, massage and makeup techniques. Let us help you select a home care regime and makeup designed specifically for your individual needs. Skincare consultations are free so please contact us for professional recommendations. We have the tools to help you create the beautiful skin you’ve always wanted. *this offer is for NEW clients only. Cannot be combined with any other offer. Must print out this page and present it at time of first appt.